The SAUCE GOLD TEE has bulked up for its sophomore year, weighing in at a heavyweight 6.0 oz, sure to keep you warm in these streets. Black longsleeve with Magnetic Gold ink for your clout. Golden "SAUCE" badge over the heart. SP ART STRIP on the arm. Don't let the cold stop your hustle. 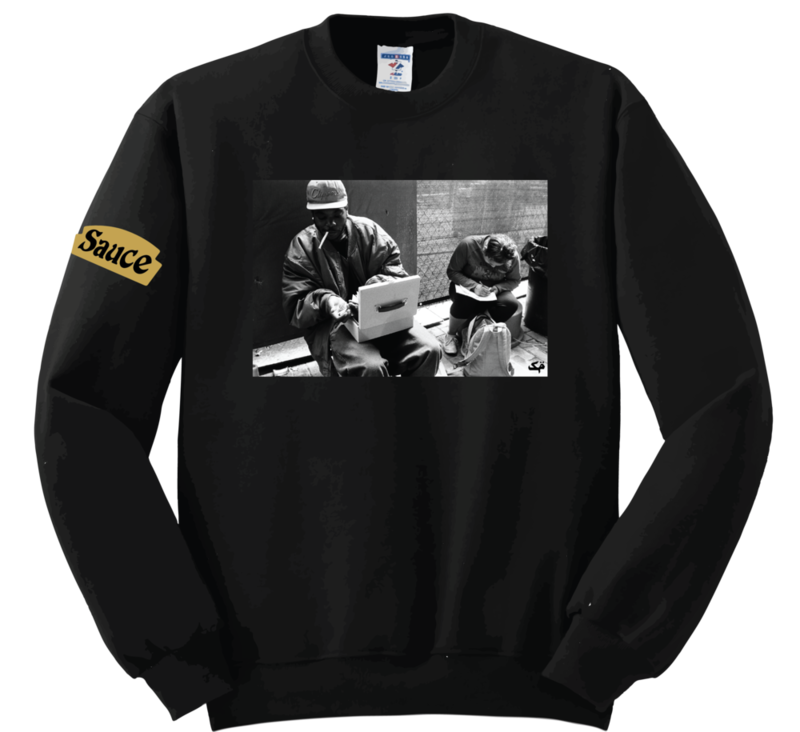 The CASHBOX CREWNECK will keep you warm and the Tran image of a businessman and his accountant will keep you motivated. 50/50 cotton/poly to help keep you dry. 10.5 x 7in Thomas Tran halftone print on the chest. Image taken 2016, pioneer square 35mm. Show your stepchild who's boss with an SP STEPDAD cap. What is CUREHATERS/THE SAUCE POSSE?